Donald Trump is perhaps the most interesting person to run for president of the United States in the last fifty years, maybe longer. Consequently, he has been the fodder for many writers during this campaign, including yours truly. Below are the various articles I have written about him. I hope you enjoy them. Have you had enough of the politicians, lobbyists, and press in Washington, DC? Are you “Mad as Hell?”, then WATCH THIS. We humbly beseech thee with thy great goodness to assist us in restoring our country to its place of honor and respect. Grant us the ability to vanquish corruption, restore morality and common sense, and deliver this country from evil. Graciously hearken to us as soldiers who call upon Thee that armed with thy power we may advance from victory to victory and crush the oppression and wickedness of our enemies and establish thy justice within our country, and make America great again. 04/03/2019 – Tim Bryce – Can Honest Journalism Ever Make a Come Back? 01/30/2019 – Tim Bryce – Who is really the Racist here? 01/18/2019 – Tim Bryce – Had Enough of Gridlock Yet? 01/08/2018 – Tim Bryce – The 116th Congress is Off and Running…But Where To? 12/17/2018 – Tim Bryce – Why Political Polarity? 11/29/2018 – Tim Bryce – What to do about Illegal Immigration? 11/07/2018 – Tim Bryce – The 2018 Elections are Over, Now What? 11/01/2018 – Tim Bryce – 2018 Midterms – What’s at Stake? 10/16/2018 – Tim Bryce – Why Don’t All Women Vote Democrat? 10/10/2018 – Tim Bryce – Are Democrats Evil? 10/04/2018 – Tim Bryce – What Does it Mean to Vote for the Democrats in November? 09/12/2018 – Tim Bryce – Mayhem in the White House? 09/04/2018 – Tim Bryce – Was America Ever Great? 08/09/2018 – Tim Bryce – Why are Traditional Democrats Fading Away? 08/03/2018 – Tim Bryce – Is CNN “The Enemy of the People”? 07/10/2018 – Tim Bryce – Why are the Democrats turning to Socialism? 06/27/2018 – Tim Bryce – Are the Democrats Winning? 06/13/2018 – Tim Bryce – Do the Democrats truly hate the President? 05/15/2018 – Tim Bryce – Who are America’s Friends? 03/13/2018 – Tim Bryce – Is Russia Our Friend? 01/31/2018 – Tim Bryce – This is War! 01/24/2018 – Tim Bryce – Who Has Really Got the Mental Disorder, Trump or the Dems? 12/28/2017 – Huffington Post – Is the GOP Really On Its Deathbed? 11/08/2017 – Huffington Post – What Does a Constitutional Convention Mean? 10/19/2017 – Huffington Post – Is There Really a Case for Pres. Trump’s Impeachment? 08/31/2017 – Huffington Post – Where Did Antifa Come From? 06/12/2017 – Huffington Post – Is War Inevitable? 05/17/2017 – Huffington Post – Stop the Press! 03/28/2017 – Huffington Post – Who Lost Last Friday? 02/02/2017 – Huffington Post – Where are the Adults? 01/27/2017 – Huffington Post – Wow, What a First Week! 11/07/2016 – Huffington Post – It’s Showtime! 10/19/2016 – Huffington Post – Who is the Establishment and How do they affect us? 10/07/2016 – Huffington Post – What Do We Know About Mr. Trump? 09/27/2016 – Huffington Post – So Who Won the Debate? 08/16/2016 – News Talk Radio – What’s Behind Political Branding? 07/08/2016 – News Talk Radio – Is the Political system Rigged? 06/24/2016 – News Talk Florida – What Does Brexit Mean to Americans? 06/09/2016 – News Talk Florida – Will Trump Supporters Defend Themselves? 05/05/2016 – News Talk Florida – Who will be Trump’s Running Mate? 03/30/2016 – News Talk Florida – What if Trump loses to the Establishment? 03/16/2016 – News Talk Florida – Primary Epilogue – What did we learn? 03/08/2016 – News Talk Florida – Can Marco Rubio take Florida? 03/04/2016 – News Talk Florida – Is it time for Reince Preibus to Go? 03/02/2016 – News Talk Florida – Is the GOP “Meltdown” Fact or Fiction? 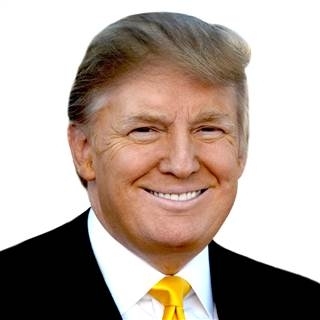 Jan 06, 2016 – What Do We Know About Mr. Trump?